Liverpool manager Jurgen Klopp insists Naby Keita will show what he is all about as he continues to adapt to life in England. The former RB Leizpig midfielder has had a slow start to his career after arriving in the summer, a year after Liverpool paid £53 million to prise him away from Germany. Keita was tipped to take the Premier League by storm after promising displays in the Bundesliga, however he has had a slow-than-expected start to life at Liverpool. The Guinean international showed flashes of brilliance during his first few starts, however he has struggled to get into any sort of rhythm after suffering a couple of knocks and being played in a different role. Keita made his 10th start of the league season in last week’s 1-1 draw with Leicester, and Klopp says supporters can expect “a lot more” from Liverpool’s third-most expensive player. “Yeah, happy so far but still a lot to come,” Klopp told reporters at Melwood on Friday. “Naby is an outstanding player but he still has to improve; minutes, games, language, all that stuff. Keita is expected to be on the bench for Liverpool’s trip to the London Stadium to face West Ham United on Monday night. 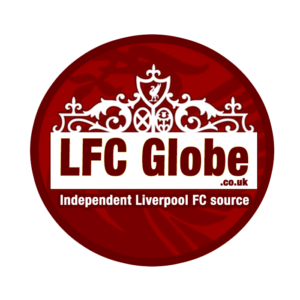 You can keep up with all the drama via LFC Globe’s live match-day coverage.